Good post, this should be standard practice for increasing your followers. Of course, they’ll only want to follow you if you tweet good content. Hashtags just get you found, not followed. What about using trend analysis services to identify top hashtags in our industry, as well as following industry leaders? Trend analysis is a great way to get inspired on new topics for content creation, and definitely should be considered when tweeting something out. But, it is very important not include a trending hashtag in your tweet if it is not relavent. Due to a busy schedule most of the topics I write about are things that I’ve had on the back burner for several months. The odds of my specific topic “trending” at the time the post is written is relatively small. Hashtags are also a way to categorize my tweets as I tend to tweet about a wide range of topics (search optimization, usability, travel, “life hacking”, design, web dev, etc…). 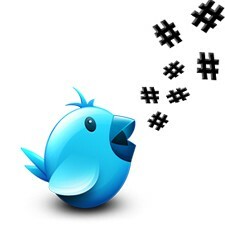 Good use of hashtags should allow your followers to quickly determine if the tweet is for them or not. Nothing worse than a vague tweet with a shortened url that takes you someplace you are not interested in.